While we’ve been seeing a surge in business over the past several years, summer tends to be a time when our customers need their equipment inspected . It’s a great time to consider scheduling field inspections over the next couple of months to make sure your equipment is in top shape. Lately, we’ve been getting a lot of calls for field inspections due to equipment breakdowns and failures. While this is obviously a good reason to get things checked out, it’s a much better idea to get heavy equipment inspected before a breakdown occurs. Otherwise, your facility may be at a standstill during a peak season later on. 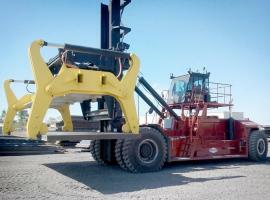 We perform field inspection services for lifting devices for all industries regularly. For all customers we create a database to keep track of each lifting device so that nothing falls through the cracks. 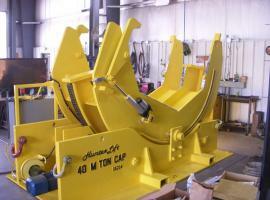 Depending on the use of the lifting device, we’ll classify each as Severe Service, Heavy Service, and Normal Service. To properly inspect each device, we provide non-destructive testing on welds and ultrasonic testing on high stressed components in addition to general operational and visual testing and observations. 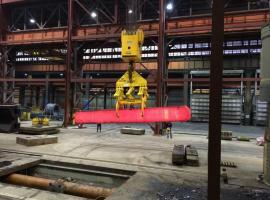 The inspections are performed by engineers and a Level II technician from Hunter Lift. Generally one of our 3 to 4 member teams can inspect approximately 100 to 300 devices per day. Once the inspections are complete, we’ll provide a final report based on the findings for each device, which includes photographs of the overall device and photographs of any damage. In addition a customer ID is set up for each device for future reference. 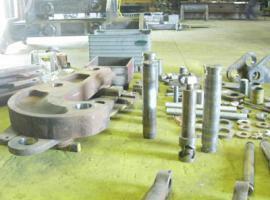 Chronic problems and failures of equipment will be eliminated through identification and redesign of equipment components. To learn more about our inspection services and capabilities, feel free to request information via our online form. You can also call us at 800-231-6501 to speak with a representative.